The rules mind you, TooFatLardies' "They Couldn't Hit An Elephant" (TCHAE). So, I'm using Scott Mingus's Johnny Reb III OOB and timing guidance from Stephen Sear's "Landscape Turned Red" to lay things out. The abuse comes in because TCHAE isn't designed to run battles this big. At all. One of the reason's I'm doing this solo is because the card deck that will govern the game will have 150 cards in it. That'll take hours to run through once and it's not polite to ask gamers to wait 3 hours between turns. So it'll be just me in the garage. 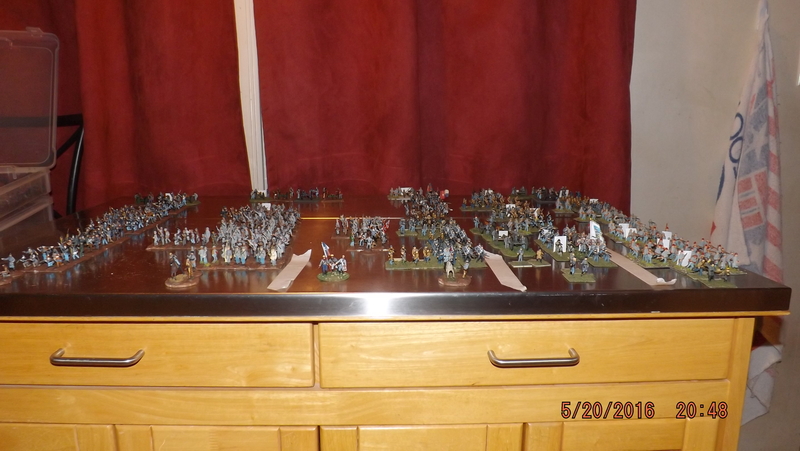 First off, I had to collect up the figures to play. One 4-figure stand of infantry = 100 troops; one 2-figure stand of cavalry = 50 troopers; 1 artillery stand will represent between 2 and 8 guns, depending on the battery they're tagged as. 7 pounds sterling, I think about $10 or so right now. 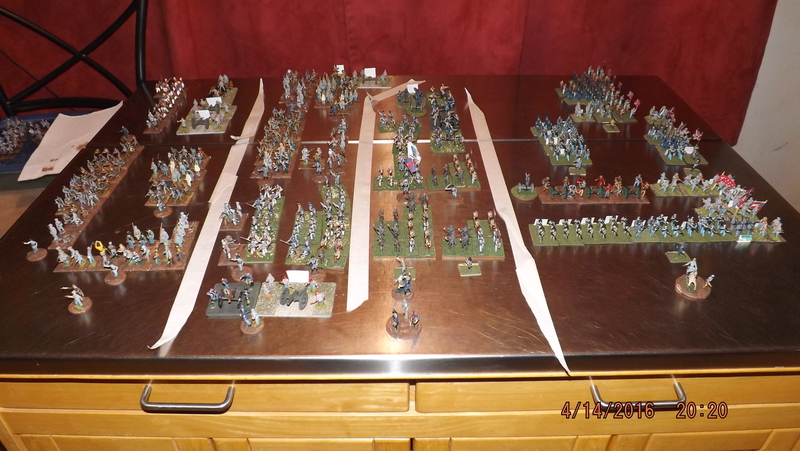 Still need to lay out MG JEB Stuart's cavalry and the ANV's (Army Of Northern Virginia) artillery.